This is one of the stages, probably the most important stage of getting a home loan is when you get to that underwriting process. 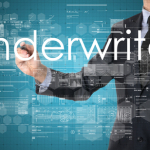 And this is when we have a new team member gets involved– the underwriter. Their job is to basically take everything that’s been put together and verify that it all fits together properly like a puzzle. Their job is really to analyze the documentation, and they are looking for holes. One example I’ll use is maybe your pay stub says you pay child support, but your application says you do not pay child support. So these are the types of things underwriters are looking for, and this is their job. Their job is to take the application, the work that was done by the mortgage processor and the mortgage originator, and now basically put it together like a puzzle, but they’re looking for the missing link. They’re looking for the little thing we weren’t told about. A lot of times once the underwriter does their job, they’re going to go back and have a few extra questions, a few final questions for the home buyer. So don’t panic, don’t get upset. This is going to happen. What happens is, underwriting is always later in the process because the underwriter can’t even start their assessment until we have everything else from you. So we have to gather up all the documentation we’re going to need– the tax returns, the W-2s, the pay stubs. We have to get the credit report. We have to get the appraisal. And we have to take all this data and put it together. The underwriter then breaks it down to figure out if there are any holes. If your loan is going to fall apart, it’s most likely going to fall apart during the underwriting stage. This is when the forensic auditor gets in there looking for problems. 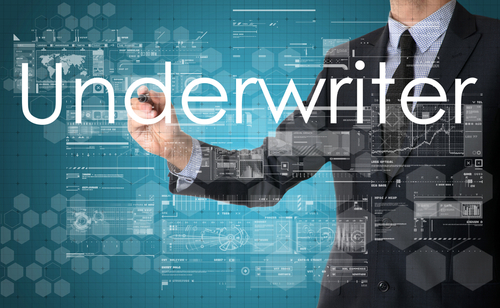 A lot of people have a negative connotation about the underwriter. They’re afraid of the underwriting process. What I will tell you is, when we started doing more due diligence in RFO Funding upfront, we cut the number of loans that our underwriters denied by 75%. What this meant was, it wasn’t the underwriters were finding true missing pieces. It was that we weren’t doing enough due diligence up front. Most mortgage companies do not. So we now decline that many fewer loans than the rest of the mortgage industry because we’ve changed our process to do more due diligence up front. When you do get into that underwriting stage, it’s important to understand that if you have taken out any new debts, they’re going to find out. If you are borrowing the money instead of getting as a gift, or if it’s not really your money, they’re going to find out. If maybe this home is not really your primary residence, and you’re saying you’re buying it to live in, but in reality you’re going to make it a rental property– they will be the one to figure that out. This is their job. This is what they do. They are masters of it. It’s an art form. So that’s a problem. If you’re trying to hide anything, when you get into underwriting, it will be discovered. Once somebody gets in that euphoric high of hey, we qualify for a $290,000 house, one of the first things that they’re inclined to do is run out to a furniture store or buy a car. Underwriters have tools where they can go see who has pulled your credit. So even if you haven’t bought the furniture yet, the underwriter can find out that you were at Rooms to Go and had your credit pulled. Because you were thinking about getting credit. And that can change the whole tide. They know you were down at that new car dealership and had your credit pulled by the local Chevy dealer, and you’re probably buying a new car. The underwriter will ask these questions. So it’s important as you’re going through the home buying process, don’t take out any new debt, don’t have anyone pull your credit, don’t even start shopping for new debt. Save all that until after you move in. Because right up until that day of closing, anything you do can still derail the process. If you quit making your payments. If you go out and take on new payments, new debts, new cars, new furniture, before that closing date– even the day before. We had one client who was closing on a Monday, and he went out and bought a brand new big truck on Saturday. So we were not able to close the deal. We had to completely restructure everything. We had to move him from a conventional loan to an FHA loan. We found out. That’s our job. Even if it’s one day before. Don’t think just because it’s the Sunday before your closing on Monday that nobody’s going to find out. We will find out. We get alerts. We monitor these things. We have to know that right up until the day of closing your financial situation has not changed. If you lose your job the day before closing, the underwriter is going to figure that out, because they’re going to call your employer the day of closing to make sure you’re still there. If you quit your job, that’s not our fault. It’s not our fault that the day of closing we’re going to turn down your loan, if you quit your job the day of closing. The underwriter’s job is to find all this out and fit these pieces together. My advice to a homeowner is when you get to the underwriting stage, if you’ve been upfront and honest about everything in your application and nothing has changed– you haven’t bought any new furniture, cars, you haven’t quit your job, nothing like that’s going on, you haven’t bought another house you didn’t tell us about– you know, these things happen, you’re going to be fine in underwriting. The underwriter may come back for a little additional documentation. They may have you dot a couple I’s and cross a couple T’s. But in the end, they’re there to just make sure the puzzle fits together properly so that your loan can then be closed, funded and guaranteed as well as everything we have to do on the back end. That’s part of the home ownership process and mortgage process here the United States. I’ll tell you, these underwriters they are good at their art form. They can sniff out– they’ll notice that maybe one of your pay stubs had a different address on it. And now they’re going into public records saying, well, what is this house? You didn’t tell us about this house. Oh, you own this house, and this house has a private mortgage on it. And they start pulling at these threads and figuring things out. Or maybe your tax return last year had a different address on it. Or maybe your W-2 last year had a different employer name on it. Maybe it’s the same company, maybe it’s not. These are all the things they’re there to figure out. Maybe your bank statements don’t add up. We’ve had people try to forge up their bank statements. Maybe that bank statement isn’t really yours. They look at all these things. They want to make sure that your name address and account number is on that bank statement, because they have to then match that up. They have to take the address you give us on your application and compare it to the address you give us on your pay stubs, W-2s, tax return address, bank statement address and your homeowner’s insurance address. That’s another big one. They may get your insurance. You may tell us you’re going to live in this house, but then you tell your insurance company you want a renter’s policy because you’re going to have a tenant in it. The underwriter’s going to pick up on that. You’re going to have a problem. So this is their job. This is what they do. Again, it’s unfortunate there are bad apples out there. There are people out there who want to beat the system. They want to commit mortgage fraud, which is a federal offense punishable by $50,000 in fines and up to 10 years in prison. It is a serious thing. And their job is to look for that fraud, look for those pieces don’t fit together, and make sure that we are only making loans to qualified borrowers who meet our criteria.